Home » What Is A Boglehead And What Investing Lessons Can You Learn? If you've searched for anything investing related, chances are you've stumbled across the Bogleheads at some point in time. The Bogleheads Investing Forum is one of the most active, and honestly one of the best, resources when it comes to investing Q&A. While researching my article on The Best Investors of All Time, the term Bogleheads kept coming up when I was researching Jack Bogle. For a quick refresher, Jack Bogle is the founder of Vanguard, and a champion of low-cost simple investing philosophies. However, his basic principles have been extolled upon by several other mainstream finance authors, as well as thousands of other self-proclaimed Bogleheads. 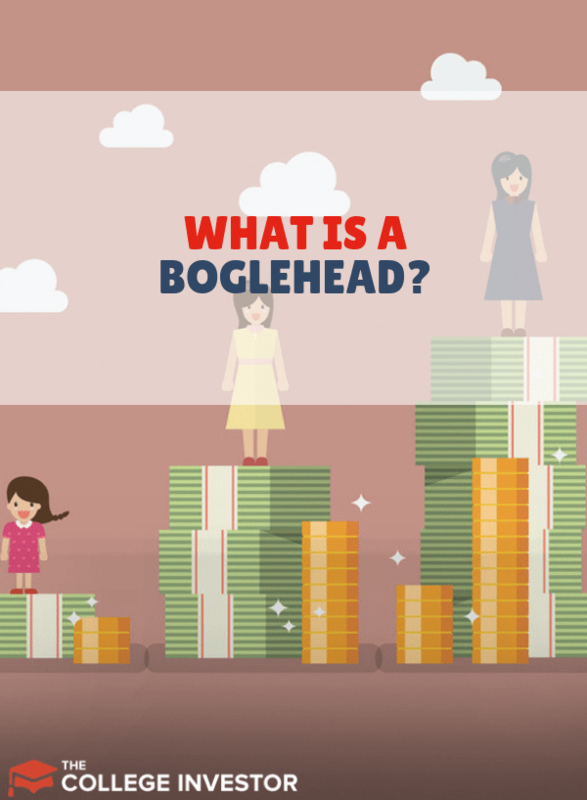 If you subscribe to his ideas of low cost index investing, or simply browse their forums, you can probably call yourself a Boglehead too. Here's a little more about this awesome group of investors and personal finance lovers. Do You Have To Invest At Vanguard? What Can The Average Investor Learn From Them? This is a simple strategy - spend less than you earn. Live below what you need. Save the rest. Frugality is important, but so is earning more. This is one of the main reasons why I started this site. I wanted to encourage young adults and college students to start investing. The earlier you start, the better you'll be financially. Investing is a game of risk - but you don't want to go crazy. You can lose money investing. In fact, many people have gone broke investing. But that's rare, and it's near impossible to lose all your money investing if you follow simple advice. It's important to never keep all your eggs in one basket. Look at the people who had all their investments with their company stock, and then their company goes bankrupt. Investing in low cost index funds gives you diversity in your portfolio, especially as you mix up stocks, bonds, and other asset classes. Time in the market is better than timing the market. You never will know when the top or bottom is, all you can do is invest for the long term. Index funds are fantastic tools to diversify across the stocks. Heck, you can buy the total stock market in one index fund! When it comes to diversification at low cost, there's no better way to do it. Fees are going to be the number one detriment to long term investing success. Keep cost low. Invest in low-cost mutual funds, and be wary of advisor fees. Read this scary story if you dare. Taxes are the enemy - we all hate taxes. Make sure you're taking advantage of tax-deferred investment tools like a 401k or IRA to the max. If you're self employed, you have the solo 401k at your disposal that can really allow you to save. Simplicity is important. The more complex you make things, the harder it is to manage. Investing can be simple. Pick a few funds, keep your accounts together, and watch your money grow. The stock market goes up and down. In fact, as of writing this, it's near all time highs. It might crash. But you need to stay the course and keep investing for the long run. Buy low, sell high - don't fall for the panic and do it backwards. Bogleheads invest and keep it simple by buying mutual funds or ETFs that try to mimic the entire market. Or, to build a proper asset allocation for their own individual needs, they may buy a stock mutual fund and bond mutual fund to be diversified in both asset classes. When buying these funds, they pay special attention to fees, and only invest in funds with low fees and expenses. Taxes are also a huge consideration. To maximize tax efficiency, investment vehicles like 401ks and IRAs are the preferred mediums. Finally, they stay the course - the stock market goes down, they keep investing. The stock market goes up, they keep investing. This is a controversial topic. Since Jack Bogle was the founder of Vanguard, many Bogleheads swear by investing at Vanguard. And Vanguard, as a fund company, typically has some of the best mutual funds and ETFs to invest in. However, over the last few years, competition has been fierce amongst the best online investment brokers. And there has been a so-called "race to the bottom" in low cost investing, with some companies offering truly free investing. Fidelity - Fidelity is consistently a top pick to invest at, as they have a large selection of low cost (and no cost) funds to invest in. Check out our Fidelity review here. 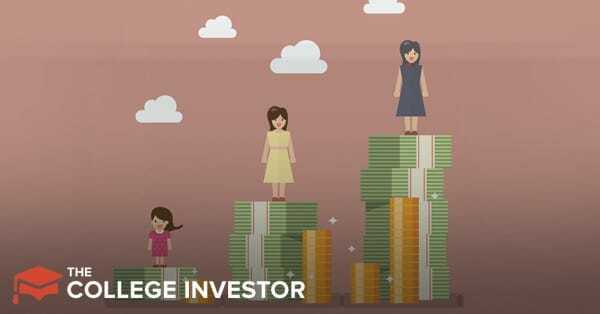 M1 Finance - M1 Finance is a new-comer, but they offer commission free investing, with the ability to invest in a wide variety of stocks and ETFs, including Vanguard ETFs. It's a great way to get a diverse portfolio at low cost. Check out our M1 Finance review here. The Bogleheads have a fantastic philosophy for the average investor. Buy and hold for the long term, focus on low cost index investing, and keeping it simple. But furthermore, their forums are a great place to learn. It's highly likely that your question has already been answered if you do a quick search of their forums, and if not, post - and you'll likely get a great response. That community is fantastic, especially when it comes to more complex subjects around investing, taxes, investment vehicles, and more. What do you think of the Bogleheads? Are you one of them? I guess I could say I’m a Boglehead without really knowing it. I tend to fit in all/most of those categories and they’re how I approach my investing and finances. I love the WWaBD? Almost like the shirts that say WWLDD (What Would Larry David Do)? I’m certainly not a Boglehead. I’m in favor of timing the market. It’s not that hard. Diversification is OK, but typically done so badly wrong as to be a waste of time. Simple is for tape worms. Timing the market is tough….and done badly can be a huge waste of time and money as well. Simple is simple – it can work just as well as complex many times. Jack Bogle has long been one of my heroes. Since he doesn’t drink the Wall Street Kool Aid, he’s never gotten the broad notoriety he deserves. But he’s done a tremendous service to individual investors through Vanguard and singlehandedly driving down fund management fees across the board. I’m not sure. I think this is the most important investing philosophy that they espouse: “Never Take on Too Much Risk, or Accept Too Little” but it is totally ambiguous! How do you define “too much” or “too little”? It’s relative, yet the amount of risk you take is going to have more effect on your wealth accumulation than any other factor. Bogle himself defines it with his “Age = Bonds” rule of thumb. That is, the percentage of your money in bonds (safe money) should be about equal to your age; the rest (risk money) in stocks. As you accumulate money and run out of earning time, you gradually decrease your risk. At age 50, you’ll have considerable savings, half in bonds and half in stock, so a 50% market decline loses you only 25% of nest egg. At age 75, when you’ve saved all you’re going to, only 25% of your money is at risk in stocks. Also, control risk by rebalancing if market movements pull your stock/bond split away from Age = Bonds — sell what you have too much of and buy what you have to little of. (This makes you buy low and sell high.) One to four rebalances a year should do it. When you start off it pays being a Bogle head. The more you go inside it you start devising your own strategy. I think that should be the right approach for me. It’s funny how people care what the academic literature says when it comes to so many things in life (like medicine), but not with regards to finance. The “Boglehead Strategy” is simple, yet sophisticated and the easiest and most reliable way to achieve financial independence. There are a few people out there who can pick stocks and time the market. But you’re probably not one of them, so why invest that way? It’s far easier (and more likely successful) to follow the Boglehead strategy. That’s pretty much the strategy I recommend to other doctors on my blog and I have a post coming up from one who retired at 53 by doing nothing other than invest like a Boglehead. Thanks for stopping by Mike and admitting the truth! Yes, I am a Boglehead and have been one since 1999. I met John Bogle at the second Bogleheads Reunion. From 10/17 – 10/19 we had our 11th Reunion. What is a Bogleheads reunion? It is when people who have never met before and who know each other only by their posts meet almost every year to join Mr. Bogle when he makes time in his busy schedule to meet with us. We have the opportunity to hear him speak, and sign our copies of the books he has written. If you get a chance, check out the Facebook Bogleheads site, and also Bogleheads.org Both are wonderful places to find out about the Bogleheads philosophy, and see photos from Bogleheads Reunions 1 – 11.